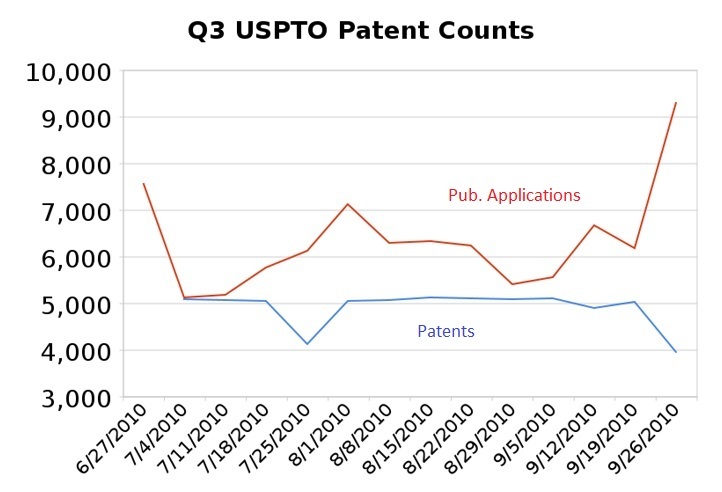 The USPTO issued 63,859 patents from July 1 through Sept. 30, a fraction less than the previous quarter but a large increase over last year’s Q3 total of 47,042. Published applications set another record with nearly 90,000 released, a 17 precent increase over the same period in 2009. At this rate, the USPTO is on track to publish between 550,000-600,000 patent documents in 2010.